More than half a century after his death, Albert Einstein’s name is still used as a synonym for brilliance. Although a simmering political climate anchored by two world wars affected the trajectory of the German intellectual’s life considerably, forced emigration and a Nazi-issued bounty on his head failed to dampen Einstein’s enthusiasm for learning and discovery. Inspired by the tenacity of one of history’s most intelligent refugees, Project Einstein works to inspire disadvantaged youth throughout the world to achieve greatness in spite of their surroundings. Project Einstein is one of several initiatives launched by Digital Democracy, a New York-based non-profit organization that relies on the ever-increasing capabilities of mobile and internet technology to give a voice to isolated and impoverished communities around the world. The inspiration for this particular project occurred while conducting photography training with youth in a Bangladeshi refugee camp, and has grown into a digital pen pal program spanning South Africa, Haiti, and Thailand. Much of Digital Democracy’s campaigns work directly with local organizations in order to tailor their initiatives to the community in need. 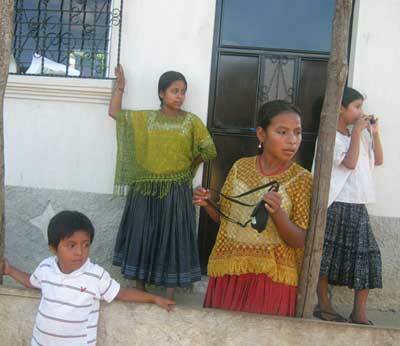 Project Einstein’s latest venture, taking place in the Zona Reyna region of Guatemala, is a joint effort with state development group Proyecto de Desarrollo Santiago (PRODESSA). Brooklyn-based designer Shabd Simon-Alexander is something of a jack-of-all-trades. 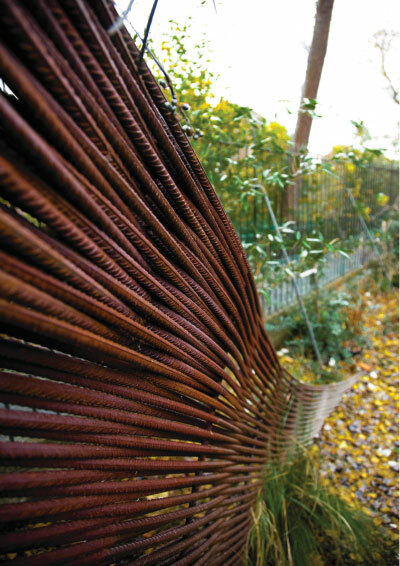 In addition to participating in Saviour Scraps, a textile-based artists’ collective, she is adept at photography, sculpture, and several other forms of visual art. When it comes to her eponymous clothing line, however, Simon-Alexander resists the urge to display the range of her ability. Instead, she adopts a meticulous, straightforward approach, channeling her energy into creating unfussy silhouettes from natural fibers. Drawing from folk tradition and her dedication to environmentally conscious fashion, Simon-Alexander begins the construction of each new garment with leftover fabric from the last one. Inspired by imagery of star life cycles captured by the Hubble telescope, the individually hand-dyed prints are rendered in delicate pastels. In addition to her own designs, Simon-Alexander also lends her handiwork to basic pieces, including tees, leotards, tanks, tote bags, and bikinis. For her A/W 2010 collection, Simon-Alexander doesn’t plan to stray far from her successful technique. Instead, the latest collection features an improvement of her craft, as she experiments with complicated Shibori methods of dyeing. 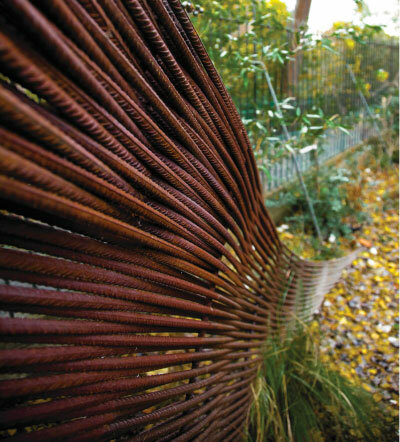 As Simon-Alexander’s website states, her pieces “bring design, chance and chaos into a perfect balance”. With the juxtaposition of natural and man-made structures influencing her latest collection, the conscientious artist has produced a unique rendering of her latest inspiration. When Coco Chanel began to design the clothing that would usher in the laissez-faire attitude of the Roaring Twenties, she distinguished her work with an unusual color palette and fabric. Her controversial use of low-cost jersey in sportswear piqued the interest of her wealthy clientele and sent a ripple through the fashion world. Decades later, the fabric has become commonplace throughout the industry, but in the hands of the right designer, jersey can still turn heads. Enter Christiane Gruber, the designer behind the Austrian line Awareness and Consciousness. A graduate of Vienna’s University of Applied Arts, Gruber honed her craft under the tutelage of Raf Simons and has also logged hours with Haider Ackermann and A.F. Vandevorst. Clearly influenced by the clean lines of her mentors, Gruber’s own line, founded in 2005, has built a reputation on uncomplicated silhouettes rendered in multiple layers of high-quality draped jersey. While shapes of her collections remain consistent, it is Gruber’s ever-changing color palette and one-of-a-kind, often hand-dyed prints that make her work unique. The earthy hues of Awareness & Conscousness’ spring 2010 effort produced an effect much like the unpredictable beauty of agate, which was strung up on chains and used as pendants to accessorize the collection. Striking a delicate balance between painstakingly manipulated design techniques and an effortless and natural final product, Gruber appears poised and ready to redefine the use of jersey yet again. Williamsburg, Brooklyn may be practically synonymous with twenty-first century so-called hipster culture, but despite its artistic reputation the neighborhood has yet to add an independent movie house to its roster of concert venues, bars, and restaurants. The recently-opened indieScreen aims to fill this void, as well as to add something new to the plethora of local eateries with its in-house restaurant and bar. The 93-seat theater eschews trendy interiors for understated design. 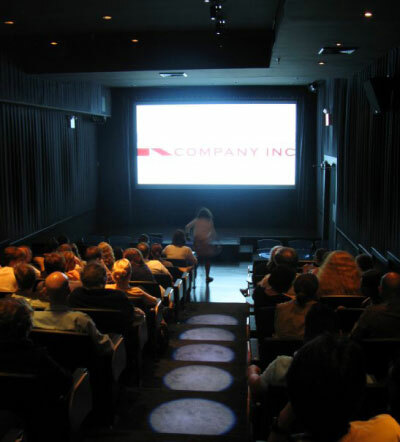 Co-owned by Marco Ursino, the founder of the Brooklyn International Film Festival, the theater hosted this year’s festival in June and will also house July’s Flick Film Fest. The eclecticism of indieScreen’s staunchly non-mainstream movie line-up is reflected in its multicultural menu: tapas, paninis, and sashimi are available in the restaurant or theater area, courtesy of restaurant owner Anna Pozzi-Popermhem. According to indieScreen, the space is also “available to festivals, organizations, individual artists, and curators for private screenings, concerts, power point presentations, seminars, and lectures.” A far cry from the seemingly endless stream of commercial theaters throughout the city, indieScreen provides a multipurpose venue to enliven the ever-changing cultural landscape of the neighborhood it inhabits. indieScreen is located at 285 Kent Ave. at S. 2nd St. in Williamsburg, Brooklyn. To be invited to the theater’s opening night (date TBA), email ee@indieScreen.com. Schoolyard taunts and bookworm stereotypes aside, eyeglasses have accompanied many a trailblazer into the annals of iconic style. For the latest generation attempting to achieve the bookish vibe of Buddy Holly and Woody Allen, however, a glut of expensive eyewear has made the market a potentially prohibitive one. Declaring the state of the industry unacceptable, four bespectacled students at Wharton decided to try and level the playing field. With a potent blend of good design, economic savvy, and customer service, the masterminds behind affordable prescription eyewear line Warby Parker are slowly democratizing the industry both stateside and abroad. Named for Zagg Parker and Warby Pepper, two of Jack Kerouac’s early fictional characters, Warby Parker’s first collection consists of twenty-seven limited-run styles inspired by vintage frames. The handcrafted cellulose acetate glasses boast grandfatherly names like Fillmore, Miles, and Huxley to complement their sturdy, old-world charm. Yet the frames are hardly carbon copies of their vintage predecessors; they’re available in black and various tortoise variations, as well as bright purples and greens. The glasses are only sold through Warby Parker’s website, which keeps each custom-fitted pair at a manageable price of $95. In order to recreate the experience of visiting an eyewear boutique, the company is willing to send five pairs for customers try on at home for free. In the novels of Edith Wharton, a bygone era of New York is immortalized, one in which New York’s burgeoning urban space exists alongside sprawling wilderness. The cartography of the Manhattan isle has long since been charted — but in parts of the Middle East, newly-constructed skyscrapers stand against a seldom-interrupted backdrop of desert sand. Rotterdam-based artist Bas Princen was introduced to this curiously disparate landscape as a research project for the International Architecture Biennale Rotterdam. However, his photographs of rapidly-developing urban centers in areas like Dubai, Beirut, Amman, Cairo, and Istanbul reveal differences that extend far beyond architecture. While most of his images are absent of people, when he does juxtapose human figures with the structures-in-progress, their physical proximity belies the two entities’ social distance from one another. Clad in blue workman’s uniforms and clustered near piles of rubble, groups of laborers gather in front of a massive slick black cube of a building. It is clear that these workmen occupy a very different world than the one that they are working to create for others. 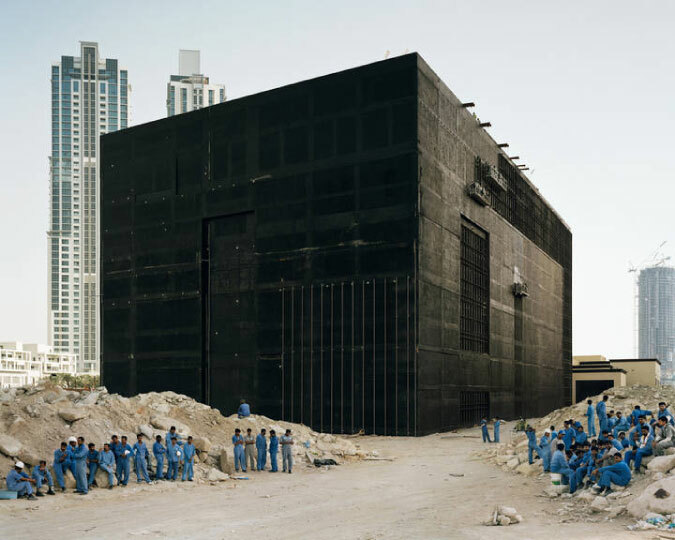 The cities portrayed in Bas Princen’s images have the feeling of a work in progress. Yet while the landscapes he has captured are certainly progressing toward urbanization, the somewhat desolate atmosphere of his pictures impose a looming question mark over this new generation of flourishing cities. The veritable hodgepodge of influences that define Brazilian artist Rivane Neuenschwander’s work is reflected in her own heritage and training. Born in Belo Horizonte of mixed ancestry, Neuenschwander has darted back and forth between her home country and the European continent for much of her career. Rivane Neuenschwander: A Day Like Any Other, now on display at the New Museum, presents the last decade of the artist’s multi-genre work. Dabbling in film, painting, and sculpture, Neuenschwander relies on a fluid relationship between herself and the audience. 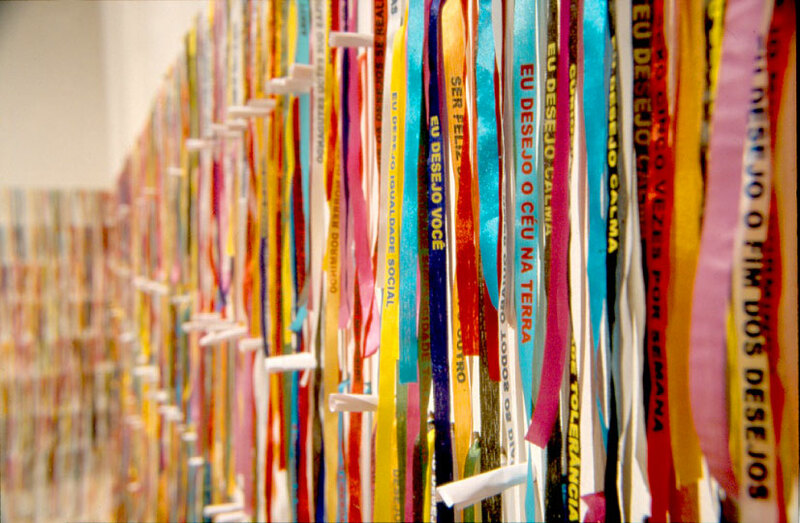 The hundreds of colorful ribbons that make up I Wish Your Wish are printed with wishes submitted by past visitors. 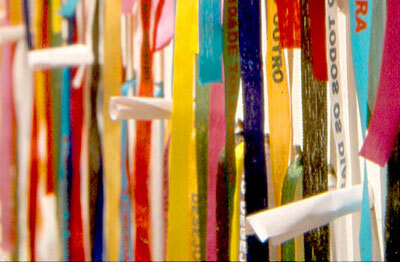 Viewers are encouraged to take one of the ribbons and tie it to their wrist, and replace the empty spot with a written wish of their own. The inspiration for the project stems from a tradition practiced by members of the church of Nosso Senhor do Bonfim in Salvador, Bahia, Brazil. A Day Like Any Other is curated by Richard Flood at the New Museum. On Thursday evening, Flood will discuss the exhibit with the artist herself, touching on Neuenschwander’s contributions to Brazilian Conceptualism and the ways in which her rich background has allowed her to surpass her predecessors, creating work that at once references the past yet is still uniquely her own. Rivane Neuenschwander: A Day Like Any Other will be on view through September 19, 2010 at the New Museum. Rivane Neuenschwander and Richard Flood in Conversation takes place on June 24 at 7 p.m. 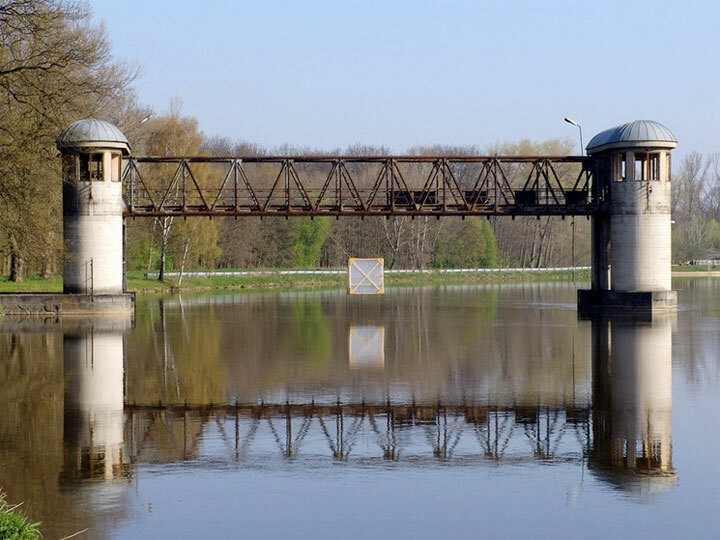 Suspended above the river Elbe, a simple wooden cube hangs from an abandoned bridge. The structure, executed by H3T architects, was crafted hastily from cheap and recycled materials, but this cube is not intended to remain intact for more than a couple of weeks. While it stands, visitors are encouraged to gather firewood from the surrounding wilderness, hoist themselves through a trap door accessible only by boat, and enjoy the pleasures of an aerial sauna. Called the Flying Sauna, H3T warns potential visitors to proceed with caution when attempting to use it, noting that the underlying river’s current is strong. Indeed, the bridge that it hangs from marks the site of a weir that was dismantled during the mid-1970s. The sauna is meant to serve as a way of calling attention to the abandoned structure. The Flying Sauna is the Czech studio’s second public sauna project. In 2009, H3T erected Sauna on the Water, a four-day construction project that produced a floating steel and plywood cube with a cast iron stove installed for heat. H3T advises using the saunas by moonlight in order to emphasize the contrast between the “beautiful lantern light” and the glistening lake. Both projects are a certainly a far cry from the glossy, tiled saunas that accompany many modern gyms and swimming pools. Instead, the humble cubes are reminiscent of traditional saunas that interact with their natural settings, whether they were burrowed into an earthen pit or built entirely from stone and wood. By reclaiming the origins of the sauna, H3T has managed to celebrate the natural and the manmade simultaneously. Despite its perennial reign at the pinnacle of French fashion, the storied house of Chanel has never shied away from venturing beyond its Gallic boundaries for inspiration. 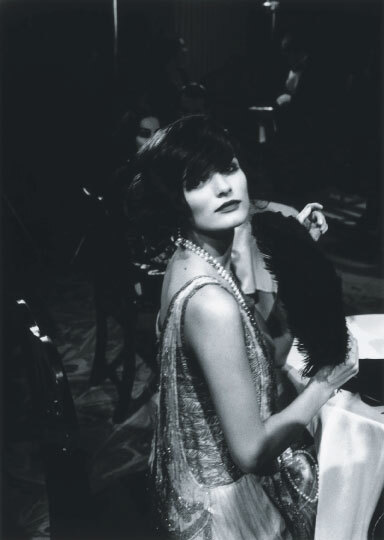 During Coco Chanel’s lifetime, her growing wealth and social status allowed her to flit around the globe, immersing herself in myriad aspects of foreign culture later to be distilled in future collections. Mademoiselle’s affinity for the Ballets Russe and the opulence of Byzantine jewelry resulted in a Russian influence that emerged in her designs. 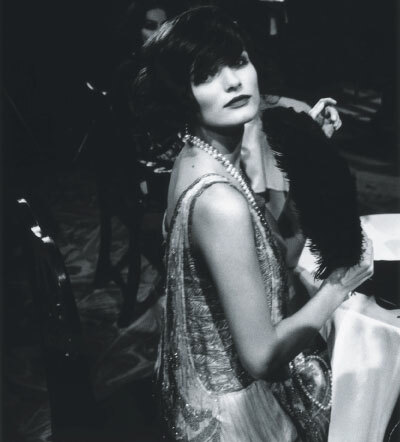 The historical link between Chanel and Russia provided the catalyst for Paris-Moscou, the house’s 2008 Métiers d’Arts collection which lies at the center of Karl Lagerfeld: Chanel’s Russian Connection, a book that was released last year by Steidl. Conceived as a way to celebrate the specialized work of Chanel’s satellite ateliers, Métiers d’Arts collections are notably rich in detail. For Paris-Moscou, however, powerhouse head designer Karl Lagerfeld exceeded expectations, featuring a steady stream of Russian models, military-inspired menswear, glittering matryoshka doll appliqués, and towering jeweled headdresses.